Technology is transforming every aspect of modern day life, and this is no more apparent than in the construction sector. The sector is increasingly looking to innovatively utilise technology in order to build more efficiently and cost-effectively. If contractors can save a substantial amount of time on site, this translates into significant financial savings for the client. 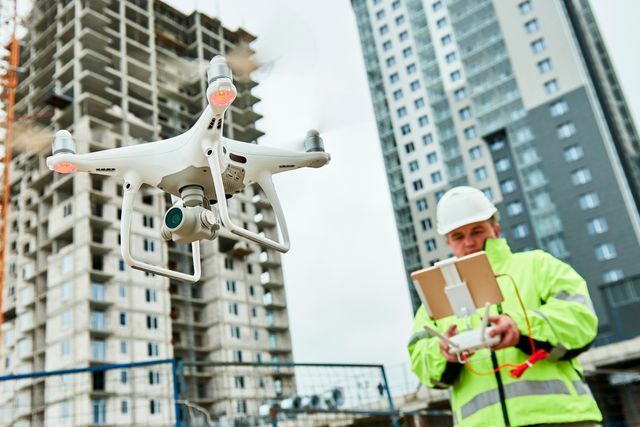 Drones – Autonomous drones are being used to map out construction sites digitally. Vertical Forests - High-rise forest buildings designed to tackle air pollution. Smart Bricks – Bricks that include thermal energy control; modularly designed and easy to connect, like Lego. Transparent aluminium – A new transparent metal that is four times stronger than glass. Bamboo cities - A form of sustainable construction and renewable resource that is more resilient than concrete and stronger than steel. Robotic swarm construction – Based on termite teamwork, the robots work together like a swarm to build predetermined designs. Virtual Reality (VR) – Buyers, agents, architects, project managers and other stakeholders are benefitting from the visualisation of plots and buildings that are in the process of being finished, through VR. The construction industry has historically been tentative to embrace emerging technologies. Recently, however, companies are beginning to harness the effectiveness of tech, and generate value through optimization and efficiency of their processes. It is promising to see that Middle East governments and organisations within the sector are at the forefront of this movement. A precast house in Riyadh has been built in two days as Saudi Arabia’s government steps up efforts to accelerate innovation and increase homeownership.